Portland likely to get lion's share of Metro cash for affordable units because it will easily contribute the largest amount. Portland is on track to receive the largest share of the $653 million affordable housing bond approved by Metro voters at the Nov. 6 general election, depending on how the money is distributed to the four cities that are eligible to receive it — Portland, Beaverton, Gresham and Hillsboro. That should not be a surprise. Portland is the largest city, has the most assessed property value, and has the most people struggling to pay housing costs of any government within the elected regional government's jurisdiction. Exactly how much bigger Portland is than everyone else is still eye-opening, however. Put simply, the bond will be paid by a tax on assessed property values, and Portland has nearly 38 percent of the assessed value within Metro's boundaries, which includes the urbanized portions of Multnomah, Washington and Clackamas counties. That's far more than anyone else. In fact, Portland's share is 5 percentage points larger than the urbanized portions of Washington County, 16 percentage points larger than the urbanized portions of Clackamas County, and 30 percentage points larger than the remainder of Multnomah County — including Gresham. This is important because discussions currently are underway about how to distribute the bond funds to the seven jurisdictions that are eligible to receive them. Metro officials already have promised to return the money to the three counties in proportion to their shares of the assessed value within its jurisdiction, minus up to 15 percent for administration and land purchases along transit lines. Under that arrangement, Multnomah County will receive the largest share of the funds, approximately 45 percent. Washington County will follow with about 33 percent, and Clackamas County will receive around 21 percent. In exchange, the housing authorities in each county are expected to pledge to produce an equivalent share of the 3,900 affordable housing units expected to be supported by the bond. For Multnomah County, that will be approximately 1,755 units. It will be about 1,287 in Washington County and around 819 in Clackamas County, which has no eligible cities. But now, the housing authorities that serve Multnomah and Washington counties must decide how much of the money will go to the four cities. The cities are eligible to receive the funds because they qualify for U.S. Housing and Urban Development block grants. "Metro will be working with the partners in each county, but we'll also be letting them collectively decide what's the best distribution method to meet the needs of their county," says Jes Larson, Metro's regional affairs manager. 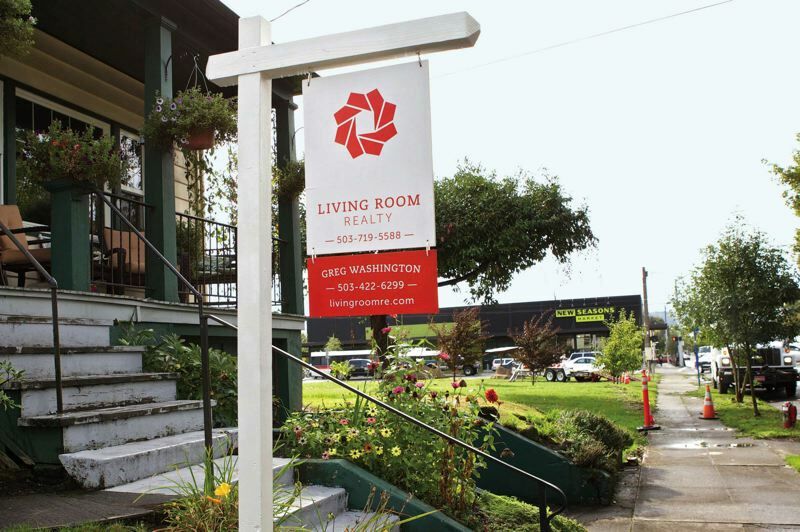 Although no final decision has yet been made, Home Forward, the nonprofit housing authority that serves Multnomah County, has tentatively decided it will not actually redistribute the funds to Portland, Gresham and the balance of the county. Instead, it will help decide how the money should be distributed to them by Metro. "Currently Home Forward, the public housing authority serving Multnomah County, will not be distributing funding from the Metro affordable housing bond. Metro will be working with the jurisdictions in the region we serve, the City of Portland, Multnomah County, and the City of Gresham, to figure out how the funds will be distributed," says Tim Collier, Home Forward's communications director. If Metro distributes the funds based on assessed values, Portland would receive around $211 million for affordable housing projects. Gresham, which only has about 5 percent of Metro's assessed value, would receive around $28 million. The balance of Multnomah County, with only 3 percent of the assessed value, would receive about $17 million. After Portland, the next largest amount distributed in the region, $116 million, would go to Clackamas County, which is not required to split it with any of its cities. Its housing authority is the county commission. After that, the same amount would go to the Washington County Commission, which is that county's housing authority. If the commission follows Metro's model, It also would receive around $116 million. Hillsboro, with 7 percent of the assessed value, would receive around $39 million. Beaverton, with about 6 percent of the assessed value, would receive around $33 million. Metro officials are quick to point out that none of these distribution decisions are final. According to the schedule released by Metro on Nov. 15, work plans currently are being written that will detail exactly how much revenue each jurisdiction is entitled to receive and precisely how many housing units are expected to be produced with it. The Metro Council has set its first work session on the plans for Dec. 11, and the plans are expected to be adopted in late January. Portland also could benefit by a provision in the bond measure that allows Metro to spend up to 10 percent of the funds to purchase land along transit lines for affordable housing projects. Metro and Portland officials have promised to build such projects along the planned Southwest Corridor MAX line to help lower-income residents expected to be displaced by the resulting housing cost increases. More will be learned about Portland's plans for the funds on Dec. 3. That is when the Oversight Committee currently supervising the spending of the city's previously approved $258 million affordable housing bond will meet next. Those funds are being spent by the Portland Housing Bureau (PHB), which also will receive and spend the Metro bond funds. There is no prohibition against PHB combining the city and Metro bond funds, creating a single pot of money for future projects. The City Council has only approved four projects to date, leaving the majority of the city's bond funds unspent. Part of the delay is because city officials wanted to see whether voters would approve an amendment to the Oregon Constitution at the Nov. 6 general election allowing private businesses to partner on bond-funded affordable housing projects, the traditional funding arrangement that creates more units than otherwise. That measure passed, increasing the number of units expected to be funded by the Metro bond from 2,400 to 3,900. The effect on Portland bond funds will be discussed at the Dec. 3 oversight committee meeting. The first projects to be funded by the Metro affordable housing bond are not expected to be announced until next spring, at the earliest. But one of the first could happen on a vacant lot near Beaverton High School. That is where REACH Development, an affordable housing provider, has been planning a 50-unit apartment building at Main Street and Second Avenue for several months. The exact cost of the project has yet to be determined. But another affordable housing developer, Community Partners for Affordable Housing, completed a 47-unit project just a few blocks away in 2015 for $10.6 million. Even if everything goes smoothly, construction on the REACH project is not expected to begin until 2020, at the soonest — a reminder of how long it takes to get such projects financed, approved and started. Two other potential projects outside Portland also are known to be in the works. One is a transit-oriented development on land Metro owns near the Elmonica MAX station at 170th Avenue and Baseline Road. The other is the redevelopment of an existing Clackamas County affordable housing development in Oregon City. The bond funds also can be used to purchase and rehabilitate existing units, however. That means some housing could be saved or made available to low-income residents in the region sooner. The advocacy group Housing Oregon has identified 26 potential locations through its affiliated organizations. The organization declined to release the list to the Portland Tribune, however, saying some of the properties haven't been purchased yet. The bond will cost property owners 24 cents for every $1,000 of assessed value. That amounts to $60 a year for the owner of a home with an average assessed value of $250,000. Assessed values are lower than real values.